The mission of the Questar III School Library System is to empower, support and advocate for member school librarians and quality school library programs essential to teaching and learning. The Questar III School Library System facilitates sharing of library resources for both public and nonpublic school libraries. 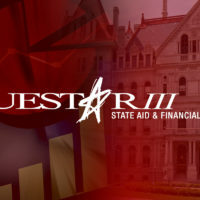 State aid supports inter-library loan, delivery, continuing education, coordination of collection development, automation and database building activities, and service to clients with special needs.